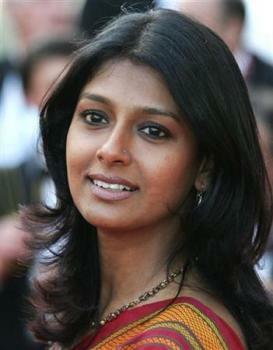 Nandita Das, an Indian actress, will portray the mother of a Pakistani boy in the upcoming movie “Ramchand Pakistani.” Nandita is a great actress and is known for playing in controversial films, as this film promises to be, but it would have been better if they had picked a Pakistani actress for the part. Unfortunately, when there is controversial action or art, if a woman’s involved the religious zealots, extremists, and bigots in Pakistan usually go after the woman instead of refuting the controversy in a reasonable manner. Examples of this are Nilofer Bhaktiar ( who vowed afresh to fight extremism yesterday,) and the recent spate of shootings of Pakistani actress’, as well as the death fatwah against the magazine Octane, which really was driven by last year’s issue on women’s rights. That makes it easier for directors to pick the Bollywood actress over the Lollywood actress almost every time. The film will portray the story of a family torn asunder as a father and son accidentally stray across the border into India, and get captured by the Indian authorities. Nandita will play the Pakistani mother petitioning for their freedom, and mourning their long absence, and this story is based on true events. More at Reuters. UPDATE: more at Delhi news. While the film is unlikely to be as wildly popular in Pakistan as KhudaKayLiye, it will break the ice on a controversial subject — the policy of each country of detaining each others citizens for eternities after they cross borders illegally. Next PostNext Musharraf and Bhutto: Pakistan United?